It started with a chance meeting on a ski-lift in Colorado. In the course of chatting to the American gentleman next to me, he mentioned that he’d just retired as secretary of his local foxhunt. “Foxes,” he said, completely deadpan. “And coyotes, of course.” Of course. 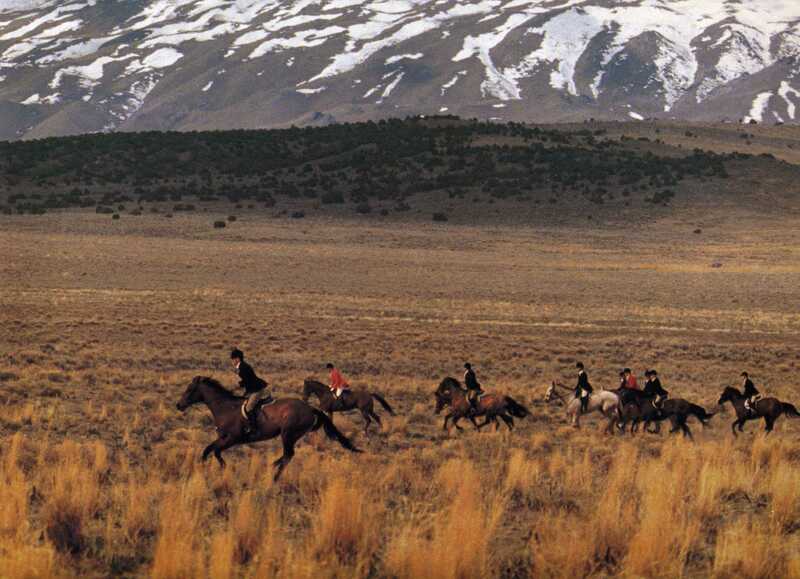 I found the thought of groups of U.S. riders donning full, formal hunting kit and riding across Colorado’s great open spaces in pursuit of coyotes completely beguiling, and was keen to find out more about this quintessentially British sport, as practised U.S.style. After a little searching around for an expert, I was soon talking to Dennis Foster, executive director of the Masters of Foxhounds of America, the governing body for America’s 170 hunts. Previously a Lieutenant Colonel in the U.S. army, he’s hunted in 11 different countries with almost 400 different hunts, and he kindly agreed to chat to me about the sport that’s both his livelihood and his passion. Q. What quarry do you hunt? A. America’s a huge country, so it depends whereabouts you are. We have grey foxes here, and some red foxes. Some of the red foxes were originally imported from the U.K. by foxhunting enthusiasts, but the animals are also indigenous to Canada and they’ve migrated into North America. We also hunt coyote and bobcats. There’s not much sympathy for coyotes here – they look like a small wolf, and are a real threat to livestock, capable of killing animals up to the size of a small horse. They’re a very adaptable animal, and will hunt anything, even foxes – although that’s for survival rather than food. The two species can co-exist together if there’s enough food to support them both. Coyotes can run ten times as far as a fox, so we don’t tend to catch many – mostly just the lame, sick and stupid! In the U.S., it’s more about the chase rather than the kill. Foxes aren’t classified as vermin here, as there aren’t that many, so there’s no pressure from farmers to cull them. Q. What type of hounds do you use? A. We’ve got four main breeds – American hounds, English hounds, Penn-Marydel (an old U.S. breed), and crossbreeds. Q. 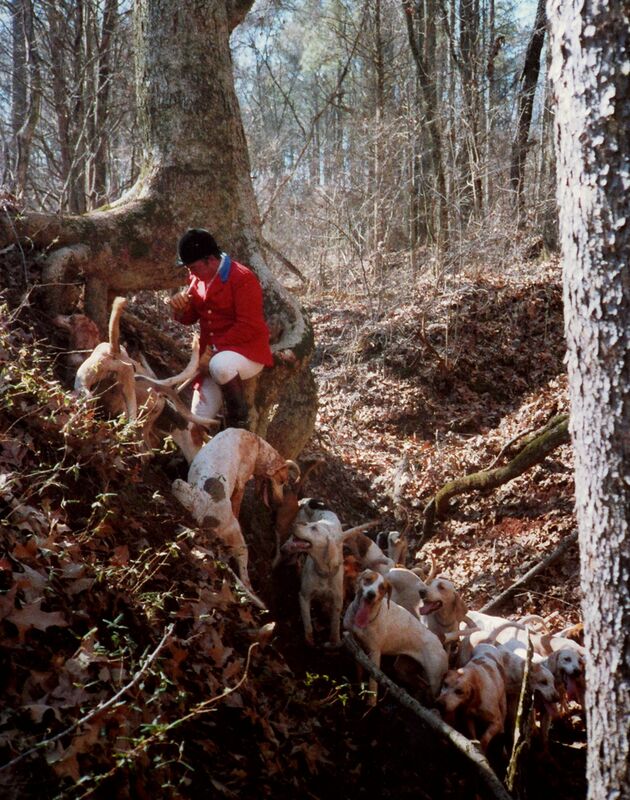 Do you have the same traditions as English hunts? A. Absolutely – we wear formal dress, including jackets and topboots, and carry hunting whips and hipflasks – mine has cognac in. Most hunts also hold an annual hunt ball , usually in December or January. Q. When’s the hunting season? A. It depends a bit on the location. In Canada, they start in June or July and finish in November, before it gets too cold. In more temperate areas, the season usually runs from September to March, following the farming season. It’s also timed to fit in with the lifecycle of the fox, as we don’t hunt pregnant vixens. We do have cubbing, but it’s just called ‘early hunting. The difference is that we don’t need to cull young foxes like you do in Britain, as we don’t have the numbers – cubbing is just an introduction to the season, with horses, hounds and foxes running a little harder and longer every day. Q. You’ve hunted all over the world. What’s your favourite country? A. I’d have to say Australia. They’ve got more foxes than any other country in the world – originally imported to help control the rabbit population, the foxes have now got out of hand themselves. Whereas in New Zealand you’re jumping wire fences every few minutes, in Australia you might only get a fence every four or five miles, so you can really open up. The countryside there’s so flat and open, you can see for miles in front of you, and you’ve got the rare opportunity to see the fox and the hounds all strung out before you. 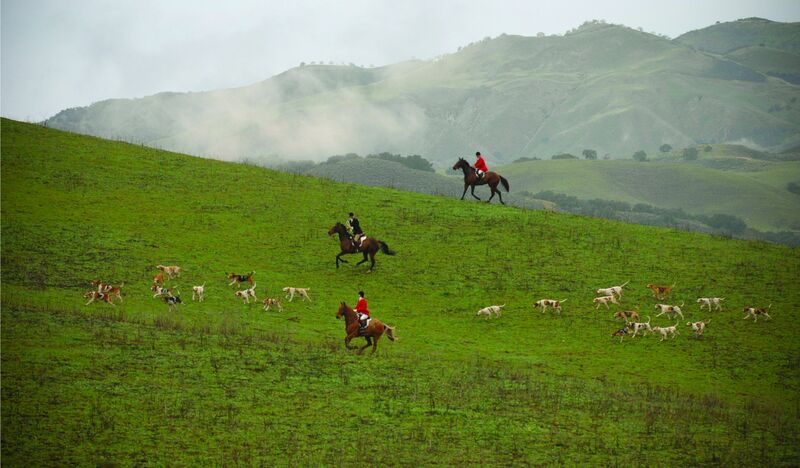 Q. What’s the attitude to hunting in the U.S. – is it seen as the preserve of the rich? A. Again, it depends on where in the country you are. Many of the hunts are on the East Coast, in expensive areas like New York – they cost a lot to administer, and tend to attract people with money because that’s the sort of people that live in the area. Hunts in other localities are different, very down to earth, small community hunts with generations of the same family all riding together and bit more rough and ready – but they’re not the ones who get the publicity! Q. Do you have drag hunting in the US? A. We do have drag hunting here, but with only around 13 hunts in the whole country, it’s not nearly as popular as the real thing. Q. Do you have any anti-hunt demonstrations? A. We don’t tend to have demonstrations – partly because of our laws, but also because hunting isn’t really considered a blood sport here as the emphasis is more on the chase than the kill. There’s really more media attention on sports like stag and bird hunting. That said, there is a lot of anti-hunt feeling around, and we’ve been working with our counterparts in the U.K. and with the Countryside Alliance to help preserve the sport. All photos courtesy of Lt. Col. Dennis Foster/MFHA. All rights reserved.